Wow, what a great line-up. Look forward to listening. Is Satan the Anderson story or something else? Realm of the Damned should be fun; almost everyone here seemed to hate it but I thought it was a right larf. I really wish that Metalzoic reprint could have happened. Here's hoping Rebellion might be able to do something with that series in the future. Yes, that’s Judge Anderson: Satan by Grant and Ranson. And I have mis-spelled Metalzoic. 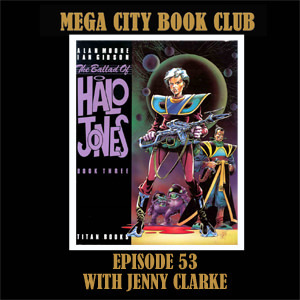 The book club reaches episode 50 and it’s the first of three episodes recorded at this year’s Thought Bubble. 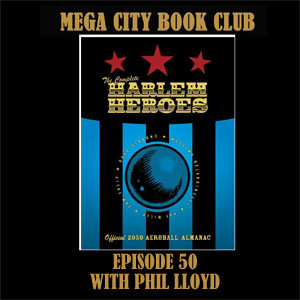 The forum’s very own Phil Lloyd joined me with some super sports action and those terrific Harlem Heroes. Yup, that "podcast guest" barrel is being well and truly scraped. I have no idea why Eamonn chose to hire some guy with a silly voice to re-record everything I said, because as everyone knows, my real voice is a sort of cross between Morgan Freeman and Benedict Cumberbatch. Pity I couldn't include John Wagner's recollections of Tom Tully that he'd just shared with me elsewhere at Thought Bubble, too libellous! And here is one of the most glorious grail pages imaginable as chosen by Benedict Phil. Episode 51 is a bonus episode which you may already have seen/heard on the advent calendar. 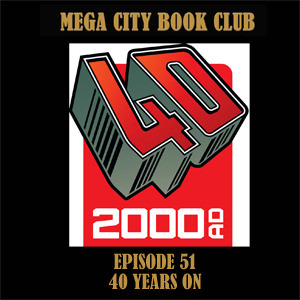 Recorded mostly at LSCC and Thought Bubble I asked some more creators and some super-fans for some of their favourite things from 40 years of the prog. 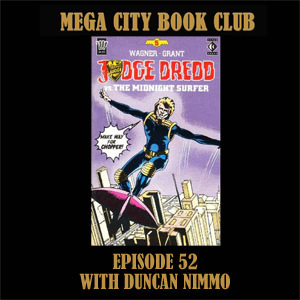 As the snow comes down keep nice and warm in the book club with the return of Duncan Nimmo. 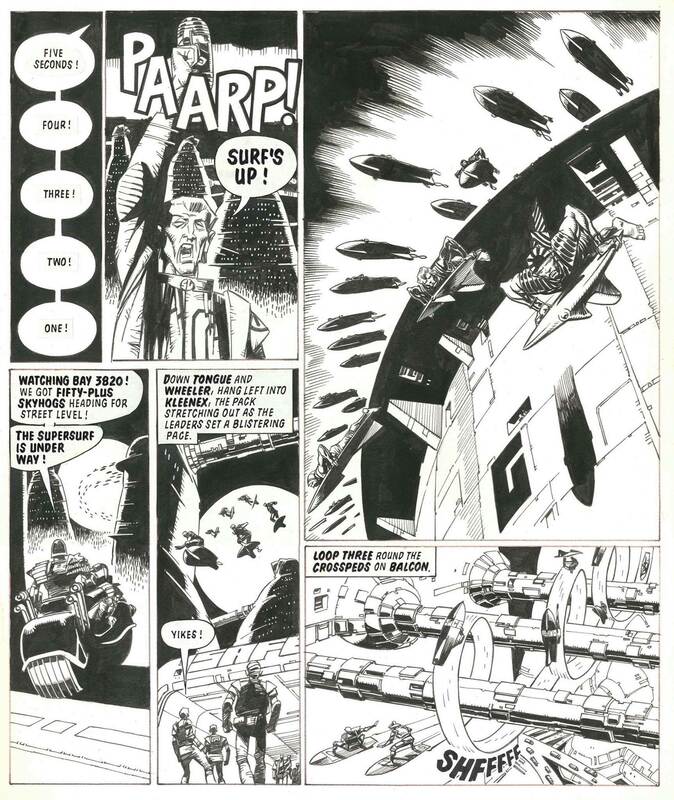 It's the second of three episodes I recorded at Thought Bubble, and its time to soar into the skies above MC1 for Super-Surf 7 with the best there ever was (or will be?). It's the Midnight Surfer! 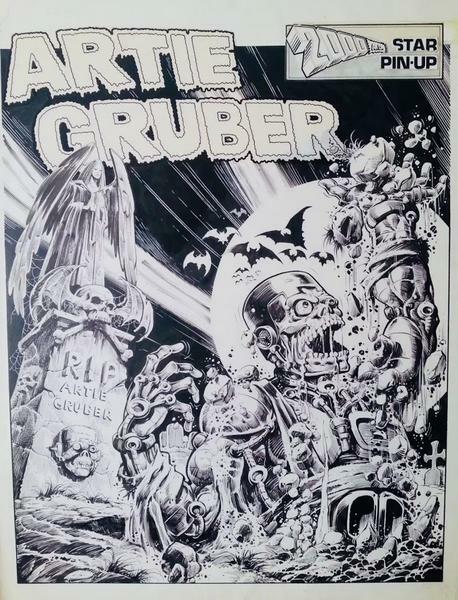 And here's Duncan's grail page by the great Cam Kennedy. Half way through this and I’m loving it. Well done fellas!